To mark the end of the exhibition Once in a Lifetime in the Oude Kerk (Old Church), Friends of KUNSTENISRAËL were treated to a showing of several short films and a private tour by curator Nina Folkersma. The finissage of the exhibition ‘Israeli artists – a new diaspora’ in artists’ society De Kring, Amsterdam, was a special evening for our Friends. The artist duo Gil & Moti and author Nir Baram discussed with each other their role as Israeli artists. Our Friends were treated to a tour of a spectacular private art collection, in the home of one of KUNSTENISRAËL Friends, in Haarlem. This was followed by an extensive Israeli wine tasting organized by the wine advisors from Cathy’s Taste in Restaurant Vis & Ko. 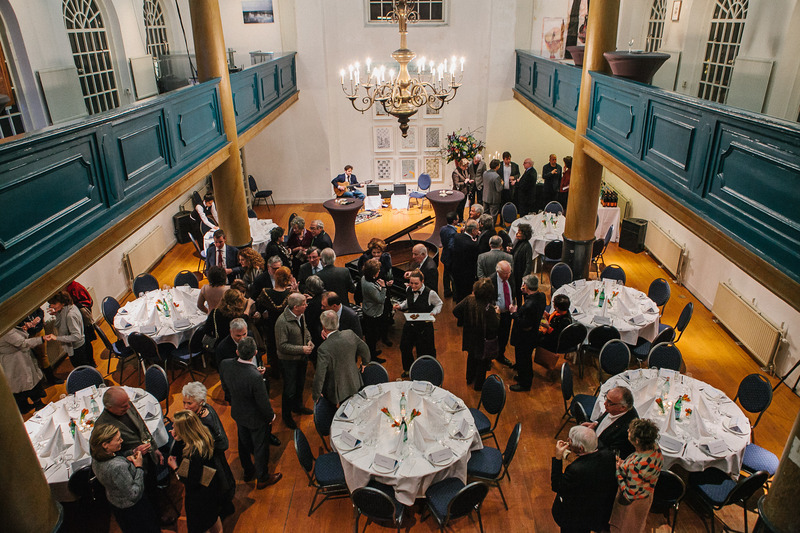 Thanks to generous sponsoring by our hosts, 100% of the contributions for this event went towards our work supporting Israeli arts in the Netherlands. 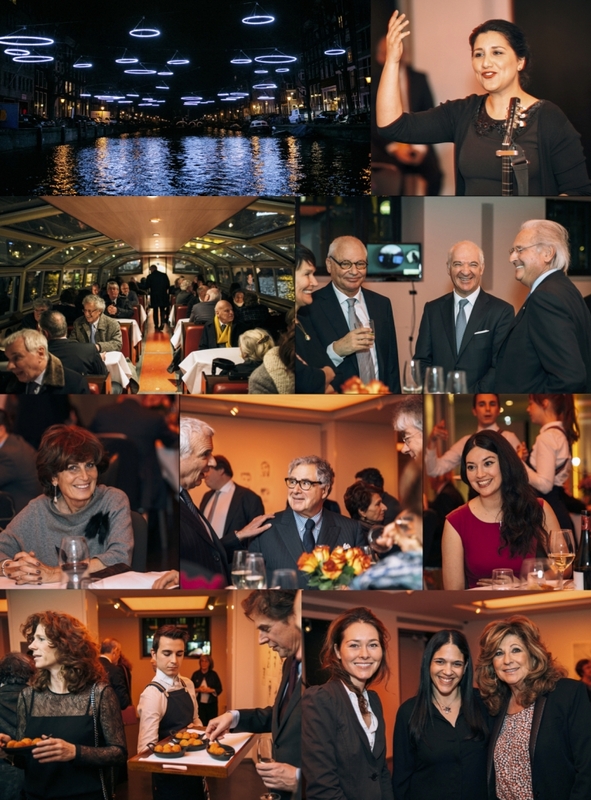 Our annual event KUNSTENISRAËL Beleven including a reception and dinner in the art’otel amsterdam and canal boat tour of the artworks of the Amsterdam Light Festival. 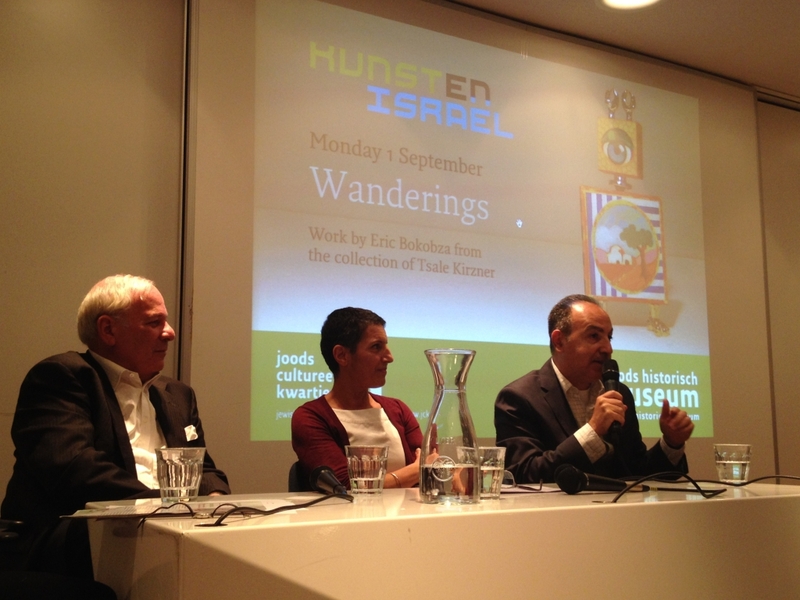 A panel discussion with collector Tsale Kirzner, curator Ronit Eden and the Israeli artist Eliahou Eric Bokobza in the Jewish Historical Museum. Our first KUNSTENISRAËL Beleven event in the Uilenburger Synagogue in Amsterdam.